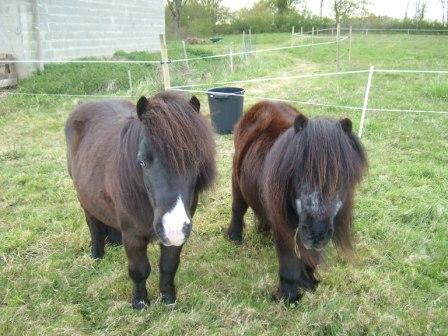 Unfortunately, yet again our gorgeous Shetlands are in need of a new home. There has been a change in their guardian’s circumstances, and they’re now in short term foster care with one of the ERF team. These adorable, loving and very gentle natured ponies deserve to be in a “forever” loving home where they can live out the rest of their lives peaceful and happily. Merlin (on the left with the wall eye) just loves to follow you around, he’s so inquisitive and Molly, just goes with the flow, she is so relaxed. They are just looking for someone to give them lots of love and they would make ideal pony/horse companions. There will be a donation fee required for the ponies, and they must go as a pair. UPDATE – our lovely Molly and Merlin have found their forever home! Wish I had the money to be able to look after these beautiful babies. They have found the most fabulous forever home, Michelle! Thank you for your offer, and who knows we may have some others needing help when you get here!